Today's the unveiling of the retired Shuttle Atlantis at NASA's Kennedy Space Center. I should be there. 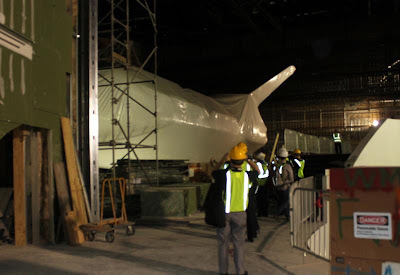 I was there during construction of the new Atlantis facility when they had just received the Atlantis and she remained shrink wrapped. I still ogled. Shrink wrapped or not, she was magnificent. Atlantis would not be cleaned up for America, she would be unveiled and on display with all her dings, scratches and smudges. That would be today. Today she will be unveiled, the shrink wrap removed and the construction completed. No hard hats for today's visitors. I was invited back for today's grand opening. I could not afford another trip right now, so I declined. 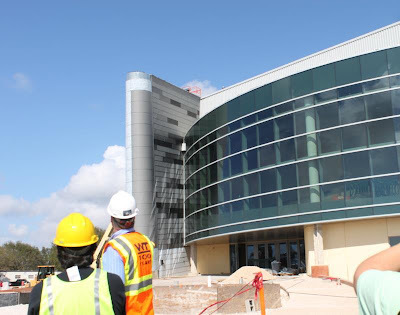 Many of my fellow space enthusiasts and new friends who were on the hard hat tour with me are down there today, full of excitement, tweeting this and tweeting that. I sit home, jealous. 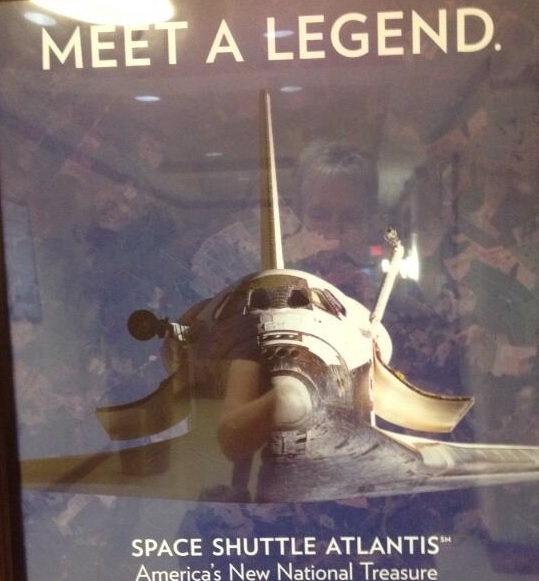 The Atlantis Shuttle Exhibit at Kennedy Space Center opens today. Above is the picture of the exhibit when I saw it, under construction. Today it is a 90,000 square foot exhibit that shares the story of NASA's 30-year shuttle program. Sadly, I will go about my business today in a town where nobody is interested in the Atlantis or the shuttle program or commercial space flight or an outpost on the moon...... But I'll be checking the tweets all day long! Send some good pics my way!